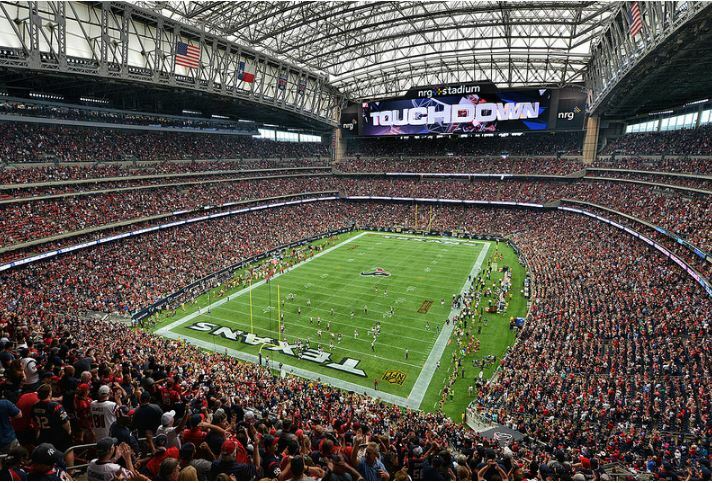 Opening in 2002, the Houston Texans stadium became the first retractable roof facility in the NFL. Football in the City of Houston had been a staple since 1960 when the Houston Oilers were founded. For over 25 years the Oilers played at the Houston Astrodome, the first multipurpose dome stadium in the country. By the mid 1980s the Oilers, owned by Bud Adams, became dissatisfied with the Astrodome because it was one of the smallest stadiums in the NFL. When Adams threatened to move the Oilers to Jacksonville in 1987, Houston officials renovated the Astrodome, adding 10,000 seats and additional luxury suites. However, it was not long before Adams became unsatisfied with the refurbished Astrodome. By the 1990s he began to lobby for a new dome stadium to be built in downtown Houston. In 1993 Adams was willing to contribute $85 million to a stadium but Houston officials and residents were not willing to fund a new stadium. Frustrated by the lack of support for a new stadium, Adams moved the Oilers to Nashville, TN after the 1996 season where they became the Tennessee Titans. Spearheaded by Bob McNair in 1997, the Houston NFL Holdings Group was formed in order to bring a NFL franchise back to Houston. The group commissioned HOK Sport to develop a retractable roof stadium. In 1998, after expanding to 31 teams, the NFL announced it would further expand to 32 teams in 1999. Two cities competed for the 32nd team: Los Angeles and Houston. It appeared that Houston would never land another NFL team in March 1999, when the league announced that it had selected Los Angeles as the home of its 32nd franchise. However, this was contingent on the city and investors working together to develop a stadium deal. They were unsuccessful and in October 1999 the NFL rescinded the Los Angeles expansion franchise, awarding it to Houston. Named the Houston Texans, the new team partnered with the Livestock Show and Rodeo to build a stadium. Groundbreaking ceremonies for the new stadium, built adjacent to the Astrodome, began in early 2000. In October 2000, Reliant Energy purchased the naming rights, thus the facility was named Reliant Stadium. It was renamed NRG Stadium in March 2014 after NRG Energy purchased Reliant Energy. The Houston Texans played their first regular season game at Reliant Stadium on September 8, 2002 against the Dallas Cowboys. 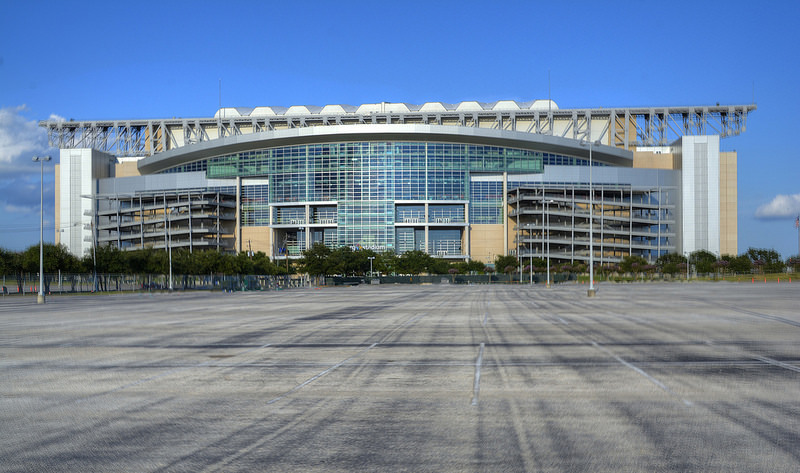 NRG Stadium has a seating capacity of 71,500, consisting of three main tiers that enclose the field. A retractable roof was chosen for the stadium, mainly because of the late summer heat and the stadium hosts rodeos, that attract two million people annually. The roof opens or closes in seven minutes, consists of two sections that meet over the 50 yard line when it is closed. When the roof is open, each section is above the seats in the endzone. NRG Stadium has many amenities including over 8,200 club seats, 187 luxury suites, club lounges and bars, and a Texans team store. The newest addition to the stadium are two 50 feet high by 277 feet wide HD video/scoreboards, each above the endzone, installed before the 2013 season. Before the second home game of the 2015 season, the Texans announced the grass playing field would be replaced with Astroturf due to issues with the tray system that is used to transport grass into and out of the stadium. NRG Stadium is host to many events annually and was the site of Super Bowl XXXVIII in 2004 and will host Super Bowl LI in 2017.